The Election Commission of India on Wednesday told the Supreme Court that it stuck to its stand taken way back in 2004 that candidates should not be allowed to contest from two seats simultaneously and if allowed, those who contest and win from two seats resulting in a bye-election should deposit in the government account an appropriate amount of money being the expenditure for holding bye-election. The ECI said there is no change in its stand taken 14 years ago about change in law against contesting from two seats and if that is not done, then express provision be made in law that those emerging victorious on two seats should deposit an amount with the exchequer for expenses to hold bye-elections but added that the amount proposed in 2004 (Rs 5 lakh for State Assembly and Council elections and Rs 10 lakh for House of People) may be enhanced “appropriately and proportionately”. The ECI said so in an affidavit filed in response to the writ petition moved by advocate-activist Ashwini Kumar Upadhyay urging that the Centre and the ECI be directed to restrict people from contesting election for the same office from more than one constituency simultaneously. The ECI said the electoral reforms proposed by it in December, 2016 clarify its position in so far as the prayer of the petitioner regarding declaring section 33(7) RPA to be ultra vires is concerned. Upadhyay also prayed that steps be taken to discourage independent candidates from contesting Parliament and State Assembly elections which he claimed was suggested by the National Commission to Review the Working of the Constitution and even by the ECI, a claim denied by the ECI in its affidavit on Wednesday. The petition’s main thrust is that Section 33(7) of the Representation of the People Act (RPA), which permits a candidate to contest general election or a group of bye-elections or biennial elections from two constituencies at a time, be declared invalid. In its affidavit, the ECI said on Wednesday that sections 68 to 70 of the RPA and Prohibition of Simultaneous Membership Rules, 1950 clearly reveal that no candidate is entitled to simultaneously be a member of more than one House (Parliament or State) or represent more than one seat in the same House although he is permitted to contest from two constituencies. The ECI pointed out that in July, 2004, it had sent a set of 22 proposals on electoral reforms to the government which was referred to the department related parliamentary standing committee on personnel, public grievances, law and justice for examination by the said committee of the Rajya Sabha in 2005. Proposal number 4 in this set of 22 proposals referred to restriction on number of seats from which one may contest and it was proposed that the law be amended to provide that a person cannot contest from more than one constituency at a time and if at all the existing law has to be retained then there should be an express provision requiring a person who contest and win the election from two seats resulting in a bye election to deposit in the government account an appropriate amount of money being the expenditure for holding the bye-election. The ECI had back then proposed that the amount could be Rs 5 lakh for state Assembly and Council election and Rs 10 lakh for election to the House of the People. The said proposal was, however, returned with the remarks of the standing committee that “in the all-party meeting held on May 22, 1998, it was decided to retain the present provision of allowing the person to contest from to constituencies of same nature”. 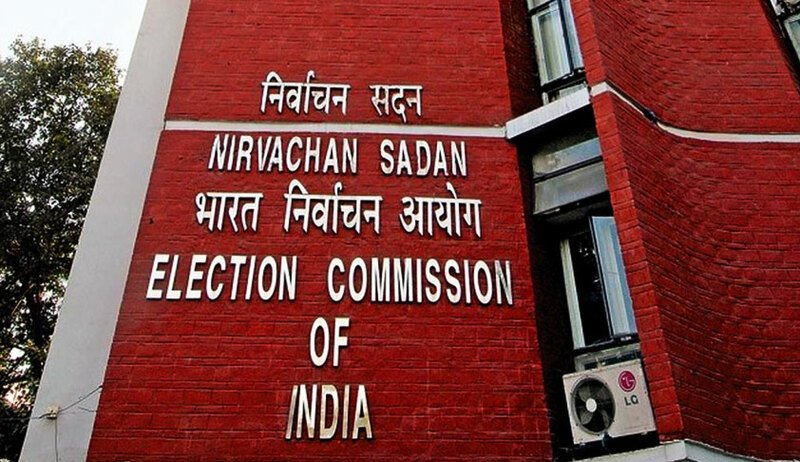 The ECI, however, goes on to say in its affidavit filed on Wednesday before the apex court that with regard to the proposal for an express provision in the law requiring a person who contest and wins election from two seats resulting in a bye election to deposit in the government account an appropriate amount of money being the expenditure for holding the by-elections, “there is no change in the above stand of the Election Commission of India on this proposal. However, the amount proposed in the year 2004 may be enhanced appropriately and proportionately”. It also referred to the 255th report of the Law Commission of India on electoral reforms wherein it was recommended that a candidate be permitted to stand from only one constituency in view of expenditure of time, effort, election fatigue and the harassment caused to the voters. Following this report, the ECI had in December, 2016 once again sent a set of 47 proposals on electoral reforms to the Government of India wherein Chapter 5 provided for proposals in respect of nomination of candidates and restriction on the number of seats from which one may contest. It had once again proposed that the law be amended to provide that a person cannot contest from more than one constituency at a time for better management of elections or to bring in law for candidates winning from two seats to deposit money in government account as expenditure of bye-elections. “Thus, the electoral reforms proposed by the ECI in December, 2016 clarify its position in so far as the prayer of the petitioner regarding declaring section 33(7) RPA to be ultra vires is concerned,” said the ECI. It, however, clarified that the writ petition titled Voters Party Through National President v. Union of India and Another referred to by the ECI in its 2016 proposal of electoral reforms was finally dismissed by the apex court. On Upadhyay’s claim that the ECI itself had proposed prohibiting Independent candidates from contesting polls, the election body said it had proposed enhancing of security deposit “to prevent proliferation of non-serious candidate and it applies uniformly to all candidates and there is no proposal moved by the ECI in the list of current pending proposals to prohibit independent candidates from contesting elections”.